Do you love to have a lean body but can’t stop snacking? We are sailing on the same boat. But what if I told you about the nut that can satiate your craving for snacks and at the same time help you lose weight? Sounds too good to be true? Read on to believe it. If you are trying to lose weight, pistachios are the best snack. And that’s because pistachios not only taste great but are also rich in fiber, protein, and unsaturated fats (healthy fats). The healthy fats help reduce inflammation in the body and also increase the satiety levels, thereby keeping your hunger pangs at bay. But these are not the only reasons why we recommend pistachios. In this detailed article, we present scientific evidence about the effect of pistachios for weight loss and on human health that will open new doors for you. Let’s begin! A study was published in the Journal of the American College of Nutrition on the role of this green nut in weight loss. The scientists divided the participants into two groups, and each group was allowed to eat 500 calories less than their resting metabolic rate. One group consumed salted pistachios, and the other group consumed salted pretzels. Both the groups lost weight, but the group that consumed pistachios recorded a significantly lower level of triglyceride as compared to the other group (1). In another study conducted by American and Chinese scientists on people with metabolic syndrome, it was found that consumption of 42 g to 70 g pistachios did not lead to weight gain. In fact, they also concluded that pistachio consumption might reduce the health risks related to metabolic syndrome (2). 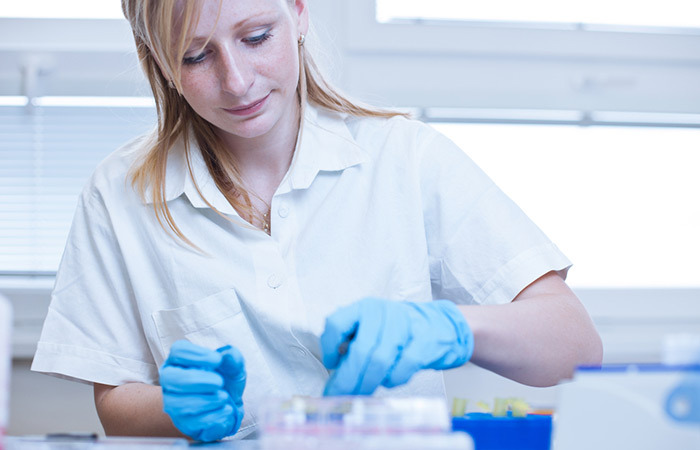 Research conducted on Mid Western University students by Honselman et al. found that students who chose in-shell pistachios consumed about 86 calories fewer than those who chose shelled pistachios. The scientists concluded that this difference in calorie consumption could be because in-shell pistachios took time to shell and the number of the in-shell nuts was perceived to be larger (3). The shells also gave the participants a visual cue of how much pistachios they have consumed thereby making them eat fewer nuts than those who chose in-shell pistachios (4). Pistachios are rich in mono, and polyunsaturated fats which help to reduce glucose levels post meals. This, in turn, can fight diabetes, improve metabolism, help regulate blood pressure, control blood sugar levels, and reduce inflammation (5). Scientists have also found that regular consumption of pistachios reduced the risk of stroke, heart disease, deterioration of diabetic condition in diabetic adults (6). Finally, consuming pistachios can also increase exercise performance, reduce exercise-induced inflammation and oxidative stress (7). Bottom line—consume in-shell pistachios when you feel like snacking. Consuming pistachios will not lead to weight gain. Instead, it can indirectly help you lose weight by making you feel fuller, reducing inflammation and triglyceride levels, accelerating metabolism, and reducing oxidative stress. Now, let’s find out how much pistachios you should consume to help you reach your weight loss goals. How Many Pistachios To Consume? In a day, you can consume 1 oz or 49 kernels of pistachios for weight loss. Have the unsalted in-shell pistachios when you crave for snacks. You can have 24 kernels between breakfast and lunch and 25 kernels as evening snack along with green tea. And by having pistachios, you are supplying your body with the nutrients mentioned in the next section. Healthy Fats – Pistachios are an excellent source of mono and polyunsaturated fats. These fats help reduce bad cholesterol (LDL cholesterol) and increase good cholesterol (HDL cholesterol) levels. The healthy fats also reduce the risk of developing heart disease and stroke (8). 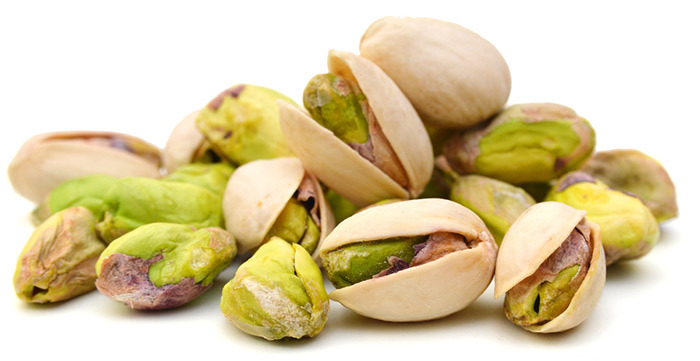 Protein – 100 g pistachio kernels contain 15 – 21% protein. Therefore having 1 oz pistachios can give you a good amount of protein that will help tone your muscles (9). Antioxidants & Vitamins – Pistachios are an excellent source of vitamins B6, K, and A, flavonols, anthocyanin, zeaxanthin, lutein, and phytosterols. These help to boost metabolism, improve lipid profile in blood, and achieve optimum health (10). Dietary Fiber – Pistachios also contain a high amount of dietary fiber. A serving of pistachios contains about 3g dietary fiber. For weight loss, dietary fiber is critical as both soluble and insoluble fiber helps to slow down stomach emptying thereby making you feel full longer and by flushing out toxins and keeping your bowel movements healthy (11). Minerals – Pistachios are rich in phosphorus, calcium, iron, magnesium, and potassium. These minerals are needed by the body to strengthen the bones, increase insulin sensitivity, carry out metabolic reactions, support muscle contraction, insulin secretion, and boost the immune system (12). Calories – 1 oz pistachio contains 159 calories, which is much less as compared to other nuts or any other processed carb or high-sugar containing snack. Moreover, pistachios have low glycemic index value, which means that pistachios won’t spike your insulin levels. Therefore, if you want to lose weight opt for low-calorie, hunger satiating pistachios (13). So, how can you include pistachios in your diet other from eating them for snacks? Take a look at these ideas. How To Include Pistachios In Diet? Add half an ounce pistachios to your salad. 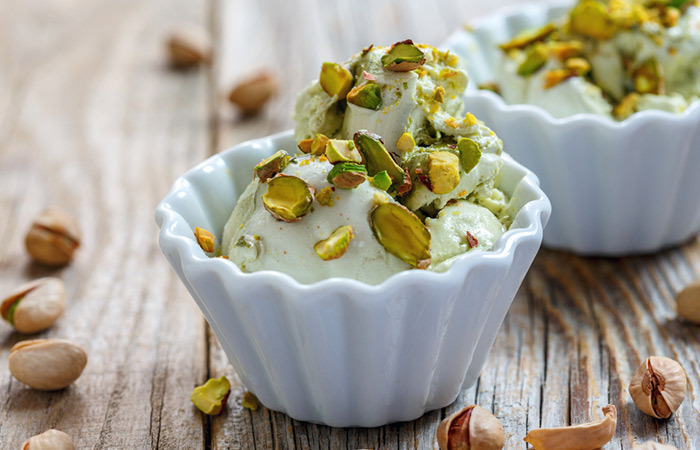 Add crushed pistachios to low-fat sour cream or low-fat frozen yogurt as dessert. You can also add pistachios to your morning or post-workout smoothies. Have a cup of pistachio added buttermilk post lunch to improve digestion as well as reap all the goodness of pistachios. Add pistachios to your cup of warm milk that you drink before going to bed. This not only ensures a sound sleep but also keeps you stress-free. It is very easy to include pistachios into your diet. Use your creativity to explore other ways to consume pistachios without banking on the weight-gain foods. However, only eating pistachios will not help you lose weight. Here is a list of things that you must do to lose weight, along with eating 1 oz pistachio regularly. Easier said than done. But you have to start taking baby steps. Eating healthy and clean will not happen overnight. Start by shopping only healthy foods. That way you can stay away from the junk foods that do nothing but harm your health. 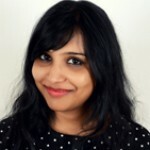 You can also check out various healthy recipe blogs to get ideas. Home cooked meals are the best. Prepare your food the night before, so you don’t have to stress on a weekday morning or eat from a restaurant. We gain weight because there are more calories stored as fat than calories being used up. So working out regularly will help you greatly to achieve your target weight. Start hitting the gym or going for brisk walks, intermittent running, sprints, swimming, playing a sport, dancing, kick-boxing, etc. to use up the calories and get the “feel good” hormones flowing. Stress is another reason for weight gain, especially in the tummy area. Pistachios can help you get rid of the stomach flab but only if you also start taking care of yourself. Stress can ruin your health. Therefore, find ways to de-stress. Working out is a way to de-stress and so is finding the time to do something you love the most. It could be dancing, painting or even playing a sport. Take up a hobby and spend some time every day to pick up a skill other than work. You can also go on trips, have “me time,” learn new things, practice yoga, spend time gardening, etc. Not getting enough rest also lead to weight gain. Sleep 7-8 hours a day to help your body reboot and rejuvenate. Alcohol consumption leads to weight gain. So reduce your alcohol consumption gradually. Have not more than a peg of red wine. If you feel like it, you can completely stop consuming alcohol to see even better results (plus you’d not have to exercise harder to burn the calories). Salt retains water and leads to bloating, and sugar leads to an insulin spike. Both lead to obesity and makes you look flabby and bloated. Gradually, reduce the quantity of salt and sugar intake to make losing weight a tad easier. Try to be with people who have lost weight or want to lose weight. They will help you stay motivated and inspire you to lose weight. If you follow these instructions, you are not far from achieving your weight loss goals. Your metabolic rate will increase, and then everything will fall into place. 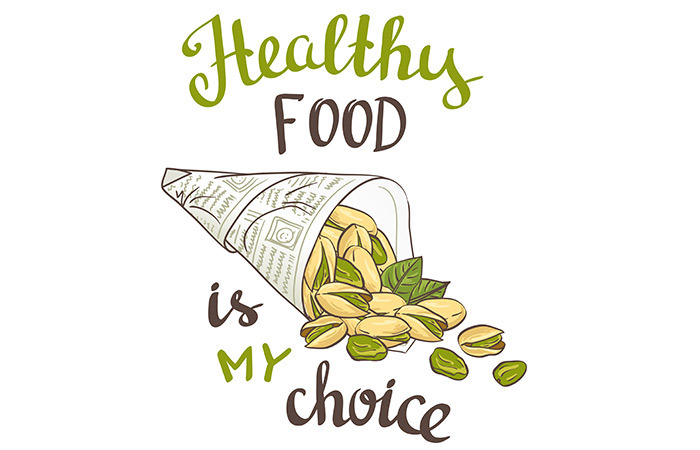 Include pistachios in your diet and change your lifestyle to have a fabulous body and a positive mind. I am sure you will rock it! Good luck. Are pistachios good for weight loss? Definitely Yes! Have you ever noticed changes in weight after using pistachios? Share your stories with us, we love to hear from you. The comment section below is all yours. Is Brown Rice Effective For Weight Loss? Is Cinnamon And Honey Effective For Weight Loss?